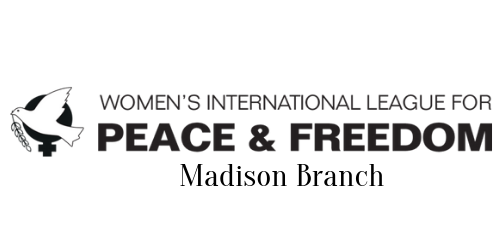 Madison area peace groups will display 5 quilts and informational posters in the Capitol Rotunda drawing attention and educating the public to the consequences of U.S. drone warfare. Each quilt was made by individuals-square by square-from all over the world, to commemorate the civilian victims of U.S. weaponized drone strikes in Somalia, Yemen, Pakistan, Afghanistan, Iraq and other countries. These quilts are visual reminders of the names of real people, mostly women and children, who are the ‘collateral damage’ of US and Israeli drone programs. We honor their lives and say their names. Join a presentation from sponsoring groups including reading of the names of some of the victims of drone warfare. 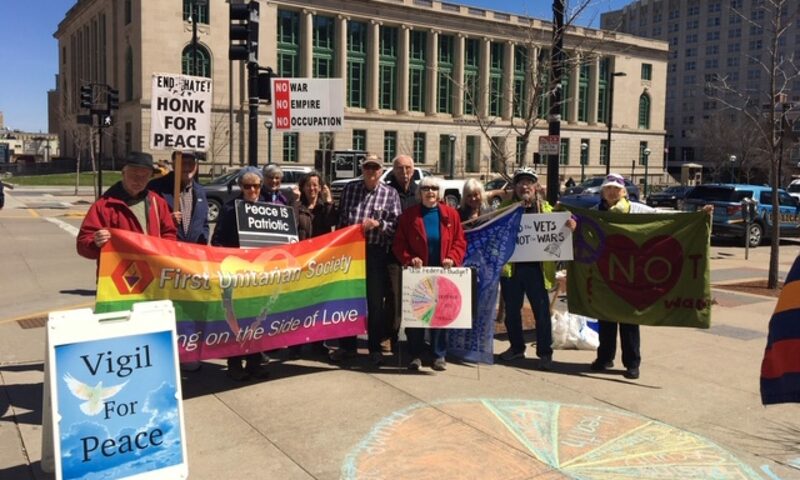 Sponsors: Veterans for Peace, Clarence Kailin Chapter 25, Women’s International League for Peace and Freedom-Madison, Monday Noon Peace vigil, Wisconsin Coalition to Ground the Drones and End the Wars, and the Wisconsin Network for Peace and Justice.